Shujaat Saudagar's Rock On 2 starring Shraddha Kapoor, Farhan Akhtar, Arjun Rampal, and Prachi Desai, was released on Friday. 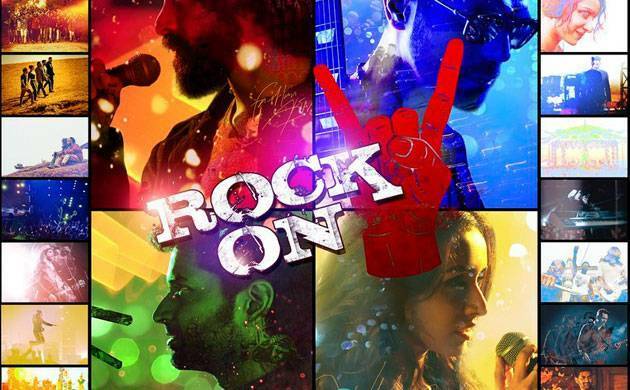 Rock On 2, sequal to the 2008 film Rock On! has so far got rave reviews from audience and film critics. The film is a musical drama film. Produced by Farhan Akhtar and Ritesh Sidhwani, the flick has good production values. Film essence lies in its music given by Shankar-Ehsaan-Loy. The film revolves around the life of Aditya Shroff, played by Farhan Akhtar, who is a remorse-filled guy. He leaves music because he blames himself for a suicide of a young man. He is a loner, who has cut himself off from the world and is living in North-East.